Truth and Light: Doctrine and Covenants Lesson 36 "The Desert shall Rejoice and Blossom as the Rose"
Doctrine and Covenants Lesson 36 "The Desert shall Rejoice and Blossom as the Rose"
On the right are two images. 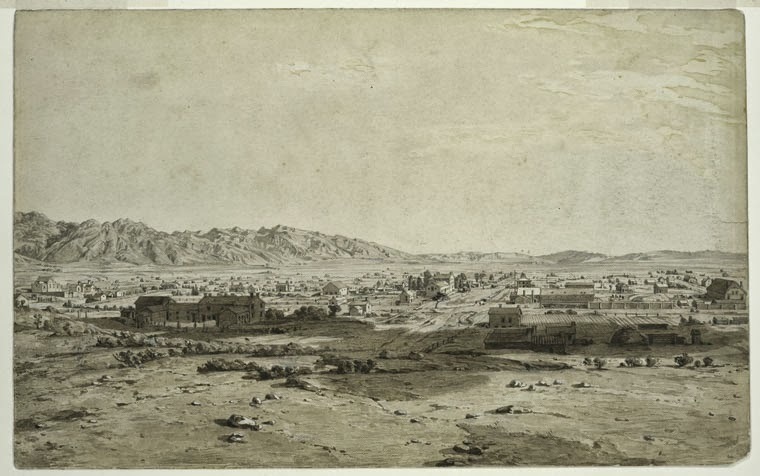 This top image is a drawing from around 1849 that depicts the Salt Lake Valley at that time. Notice while there are structures up, the ground looks hard and dry and there is very little vegetation. 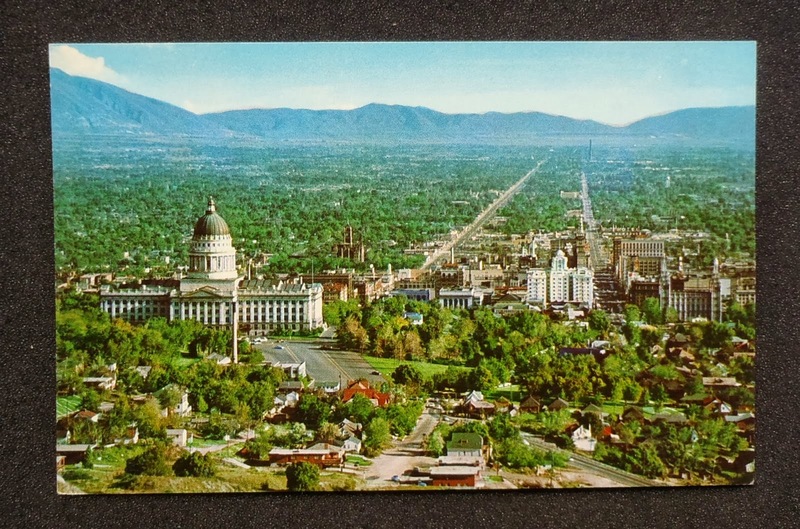 This bottom image is a photo from around 1949 that depicts the Salt Lake Valley at that time. Notice now all the vegetation, the green, lush view. The desert truly has blossomed as the rose. The obvious question to ask based on the lesson title, taken from Isaiah, is how do you get a desert to rejoice and blossom like a rose? There is little doubt a lot of hard work went into it but what else really made this settlement of a dusty, salty valley such a success for the Saints? In this lesson we will focus on 3 things that not only helped the Saints back then but can help modern Latter Day Saints reclaim the wilderness places in their lives. 1. Making the Temple a central focus in their lives. On 28 July 1847, President Brigham Young stood on the spot where the Salt Lake Temple now stands. He struck his cane on the ground and said, “Right here will stand the temple of our God”. Did you notice the date? When is pioneer day celebrated? That's right - 24th July. 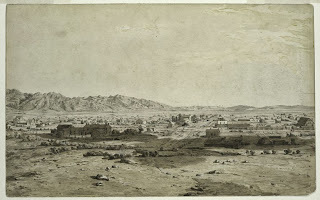 Just four days after arriving in the valley the temple site was identified. Within a week of that the Saints began surveying the new city, with the temple at the centre of the survey. The layout of the city focused the people on the temple. "You cannot always stay on the summits. You have to come down again . . .So what’s the point? Only this: What is above knows what is below, but what is below does not know what is above. One climbs, one sees. One descends, one sees no longer, but one has seen. There is an art to finding your way in the lower regions by the memory of what you have seen when you were higher up. When you can no longer see, you can at least still know..."
I think this is a great metaphor for temple attendance. We may not all be able to go every week but if we make it our focus, it changes our perspective, and it changes our lives. Some of us are blessed with a temple in our backyard, and maybe our challenge is not taking it for granted. Sometimes things so close to us can also be as blurry as those things far away in the distance. Whether near to or far from a temple, it is about where we focus our hearts and our homes. During this time President Brigham Young would often call brethren to colonize an area, much like going on a mission and often called from the pulpit without prior warning or notice. By 1877 when Brigham Young died, more than 350 successful colonies had been created across the Salt Lake Valley and around the Utah territory, Southern Idaho, Arizona, Wyoming, Nevada and California. Two brethren called on such colonization missions were Charles Lowell Walker and Charles C. Rich. "Here I learned a principle that I shall not forget in awhile. It showed to me that obedience was a great principle in heaven and on earth. Well, here I have worked for the last seven years through heat and cold, hunger and adverse circumstances, and at last have got me a home, a lot with fruit trees just beginning to bear and look pretty. Well, I must leave it and go and do the will of my Father in Heaven, who overrules all for the good of them that love and fear him. I pray God to give me strength to accomplish that which is required of me in an acceptable manner before him." "There have been many hardships. That I admit … and these we have shared together. But if you want to go somewhere else, that is your right, and I do not want to deprive you of it. … But I must stay here, even if I stay alone. President Young called me here, and here I will remain till he releases me and gives me leave to go." I wonder if that sounds familiar to the Young Men's/Women's President who loves his/her calling and has just got settled only to be told he/she is being released. Or how about the quiet member in nursery who feels they have been left in this calling and forgotten and who long to return to the warmth of Gospel Doctrine class? This speaks to the great gospel theme of "my will" vs "thy will". Consider Jonah who found his calling too tough and as a result of disobeying his call and choosing his will over the Lord's will had to endure sitting in the guts of a giant fish for 3 days. The Lord blesses those who are obedient (cf Doctrine and Covenants 58:2-4; 64:33-34; 82:10). During this busy time building the temple in Salt Lake and building colonies across the territories, Brigham Young also recognized the importance of building the kingdom. In 1849 several members of the Quorum of the Twelve along with newly called missionaries were called to serve foreign missions. These stories are not uncommon and as Latter Day Saints, having heard many similar tales of sacrifice we may run the risk of taking such stories for granted. But they teach an unfailing principle - sacrifice brings forth the blessings of heaven. Why do we hear so many of these stories? What should we learn from them? How do they make you feel? Now do something for me. Take out your map apps on your smartphones or your GPS on your mobile devices and calculate the distance between you and your nearest LDS temple. I currently live further away from a temple than at any other time during my life, so far. I am 350 miles away (about a 7 hr drive, sometimes 9 hr drive with all the kids and the pit stops that come with kids!). Now read President Kimball's counsel again. Ask yourself, "Can I do better to live up to that exhortation?" Take a look at the pictures at the top of this post. Is your life (spiritual or physical) represented more by the first or the second picture? We all have a wilderness to face whether a physical one like the Saints of the Salt Lake Valley back in 1847, or more spiritual wildernesses of the modern days. But the Lord has given us the examples of those that have gone before us. When we centre our lives on the temple, are obedient to our leaders and willingly offer the sacrifice required of us, great blessings await. May we walk the path of those who have already blazed the trail before us, is my prayer. I have been studying and praying about this lesson for the last two weeks, but couldn't find a way to connect the dots between the historical and the current. Thank you this has been very helpful. Thank you for your kind comment. I'm glad it was helpful. Thank you so much for this information and the comparisons to our daily lives. Absolutely wonderful to see others getting something out of these blogs. Thank you!